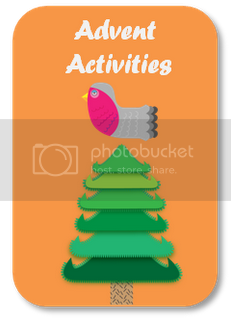 Advent Activities - How the Grinch Stole Christmas! 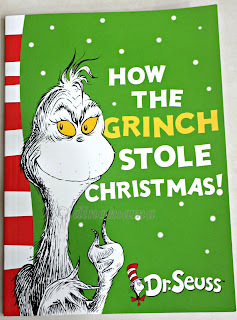 I'll be sharing a book review of How the Grinch Stole Christmas! as part of the Advent Activities. 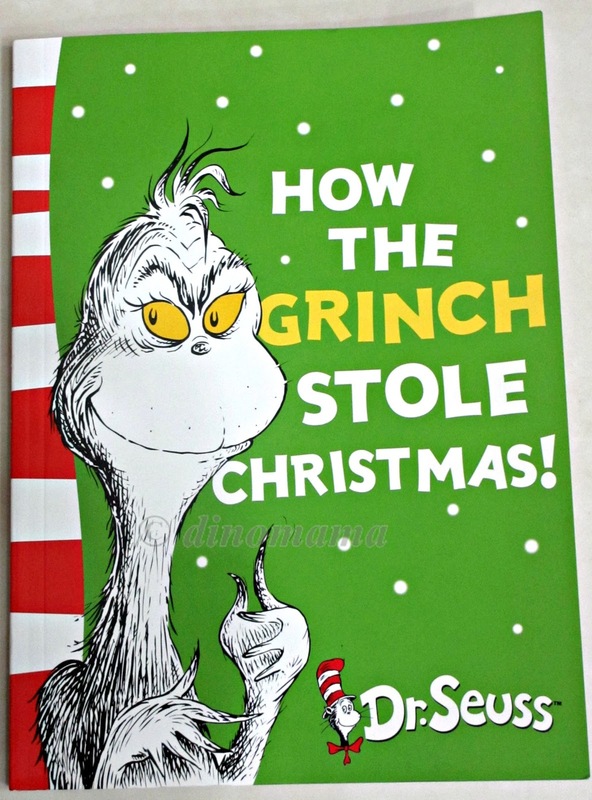 I knew about this title few years back but never get a chance to read it, I also remember a movie with Jim Carey acting as the Grinch, see the trailer below, never get the chance to watch the movie too (not a movie-goer). Back then DinoBoy was too young to enjoy the book, now that he is 6 years old I believe he will be thrilled to read a book relating to Christmas. The story is about the disgruntled Grinch who hated Christmas and after tolerating the Who in the Who-ville for fifty-three years, he decides to take some action to stop Christmas from coming! He and his faithful dog Max were busy on the night before Christmas trying to prevent Christmas from setting foot into Who-vile but soon he realized that Christmas is more then presents, decorations, stockings and feasts. We love this book because of the wackiest, funniest, quirkiest rhyme. DinoBoy and I was laughing hilariously at the words and giving each other a ridicule look when we read about the part where the Grinch stuffed the Christmas tree up the chimney. "Stuff a Christmas Tree up the Chimney!!" squealed DinoBoy, "That's so funny!!!" he continued. The picture did not appeal to me coz I thought he look kind of evil but he is after all a grumpy old Grinch to start with right? The words won me over and I did not mind reading this to DinoBoy on 2 consecutive nights during our Reading Time. 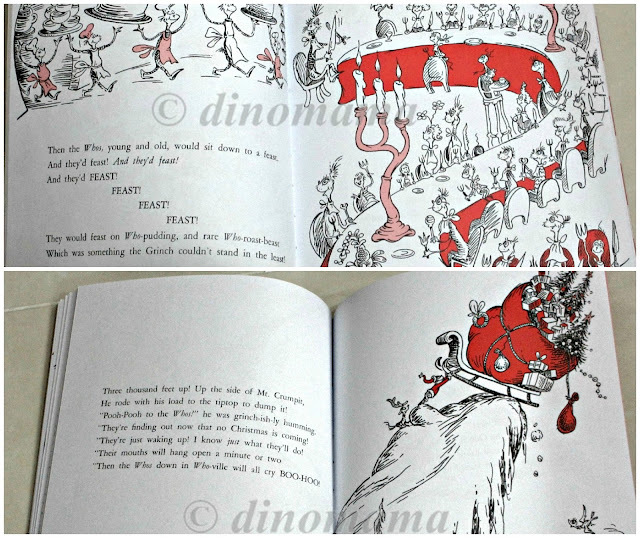 Since both me and Alicia are such a great Dr Seuss fans, its only right that we have a GIVEAWAY! C'mon now people, shout Hooray Hooray!!!! real loud so that we can hear you! Join the Cat in the Hat and his whimsical friends, Terrence, Morton, Sarah Hall-Small, Milo and others, as they take you to places you’ve never been! 3-D Computer Animation and the masterful puppetry of Jim Henson come alive in this whimsical cartoon. Dr. Seuss's timeless universe of wonderful characters with a knack for teaching lessons comes to life once again in this episode of the live action television series, The Wubbulous World of Dr. Seuss. This volume includes three episodes featuring that frivolous feline, The Cat in the Hat: "The Cat In The Hat's First First Day," "The Cat In The Hat's Flower Power," and "Oh, The People You'll Meet." 1. Leave a short Dr. Seuss inspired rhyme in the comment, including your name and email address. We regret that comments without name & email address will not be taken into as an entry. 2. We will choose the most funniest, cutest, quirkiness, crazy comment to be the winner. 3. We will choose the one with the Winner will be announced on this blog site. 4. Contest will run from 12 December 2012 to 25 December 2012 and is open to Singapore residents only. 5. The DVD will be mailed out by local normal postage, we will not be responsible if it gets lost in the mail, unless you prefer to pay us SGD2.25 for registered mail. Of course we will be elated if you click "Like" on DinoMama and Beanies N Us facebook page. Since there are only 2 entries to this contest, both myself and Alicia decided to give a prize to both mummy! Thank you L Lee & MummyMoo for your participation, we absolutely love your rhymes! 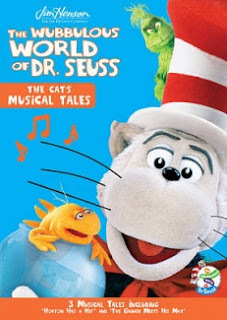 To decide who should get the The Wubbulous World of Dr. Seuss - The Cat's Adventures (1996) DVD, Alicia read the 2 entries to Dumpling and she giggled loudly at L Lee's rhyme. 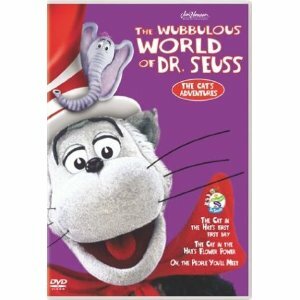 As for MummyMoo, you have won The Wubbulous World of Dr. Seuss - The Cat's Musical Tales [Region 1] DVD. We will be contacting both of you soon regarding the prize! Red and green... maybe - like the Cat’s? We love gobbling our Christmas feast. And after much laughter, we are done! and email too - they are not the same! I want to win that book for BabyMoo!! BOOK!! Where did book come from?! I want to win that DVD for BabyMOOOOOOOO!! Yoohooo!! Oh no, no, no, not I! Some skill to this art!